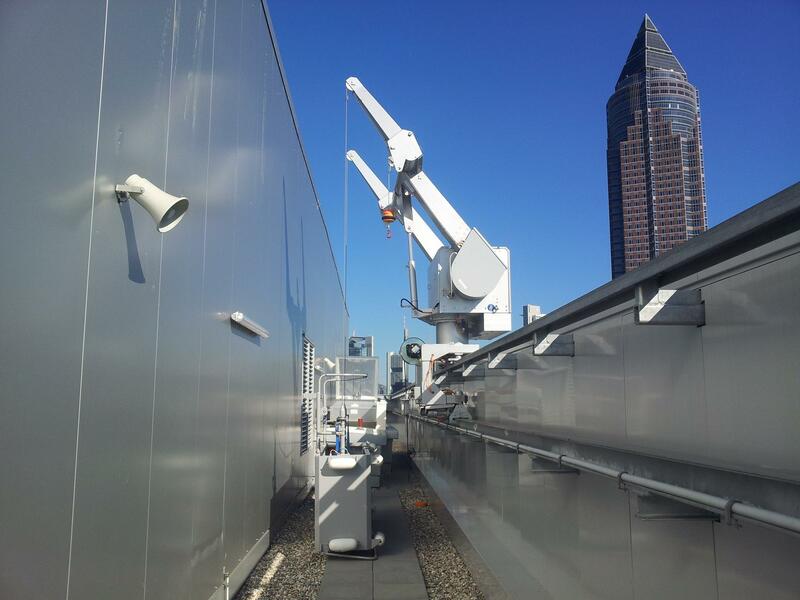 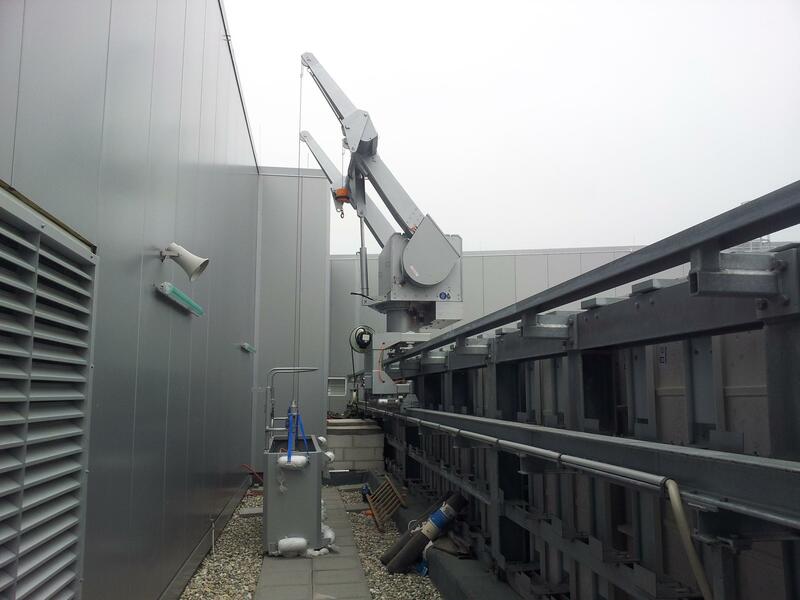 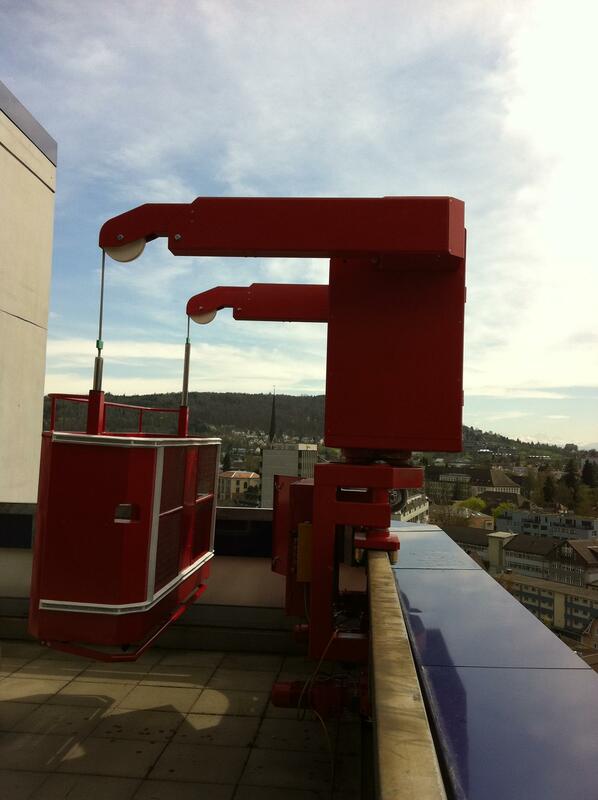 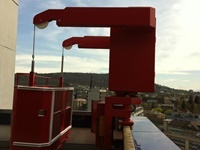 Where limited roof space is available for a trackless or standard tracked BMU a parapet mounted BMU is the ideal solution. 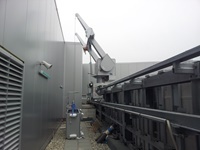 The parapet where the BMU is to be installed must be strong enough the resist the forces generated by the BMU. Twin rails are fixed to the inboard side of the parapet following the geometry of the building.